Two tourists who visited Paris this week were scammed during a taxi ride. After they arrived from the Charles de Gaulle airport (north of the city), they took a taxi ride towards the centre of the capital. When the driver presented the bill, they could not believe their eyes. The driver charged no less than €247 ($300), almost five times the normal amount for the trip. The police started an investigation. Internet entrepreneur Charkrid Thanhachartyothin and his wife were speaking Thai in the car. But after hearing the price they switched to English, realizing something was wrong. 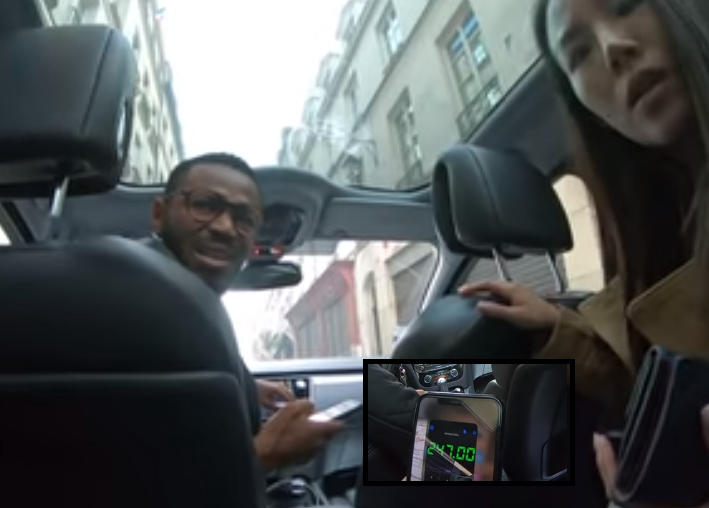 The young Asian entrepreneur decided to film the rest of the ride, to the annoyance of the taxi driver: "You cannot just film me, in Paris that's illegal." Related coverage: <a href="https://thegoldwater.com/news/41501-France-Nationwide-Roadblocks-Planned-Angry-Protest-Rising-Fuel-Prices">France - Nationwide Roadblocks Planned Angry Protest Rising Fuel Prices</a>. There was a minute-long discussion that at times looked very aggressive. The driver asked for the money to be paid, but the couple did not want to get caught. "All my friends told me that the ride would be less than 70 euros, why do you ask 250 euros? ", Thanhachartyothin wondered. He also accused the taxi driver of illegal practices, which the man tried to refute in defective English. "Illegal driving around in a taxi is not possible in Paris. You're crazy." Even when the couple asked for the taxi license from the driver and threatened to go to the police, he continued to defend the prize. "We work here with taximeters. Taxis are very expensive in Paris ", he declared, visibly frustrated at this point. "Anyway, if you do not want to pay me, no problem," then he drove away from the destination and the doors remained closed. "He did not want us to get out," Mr Thanhachartyothin told Le Parisien after they had already returned to Bangkok. "When he called his so-called employer, we finally decided to pay him 200 euros to leave the car." Since the couple had planned only a very short stay in Paris, a friend of theirs was forced to file a complaint. The case is currently being investigated by the local Parisian police. The identity of the scammer is currently unknown. Oh geeze, it's always illegal according to them. If they truly had an inkling of the law, just the basics, Paris wouldn't be a shithole today…they are so stupid. And, besides, they are not French…they are African and Asian…wrong continent bubs! the savage creature should have been strangled and then the good civilized folks should have just driven themselves.